For traditional, authentic tastes of Shanghai cusine, head to Taipei's fine dining establishment, Shanghai Kitchen (上海鄉村). With a classical and seasonal menu, this is a great restaurant to experience the true range of Shanghai's high cuisine. 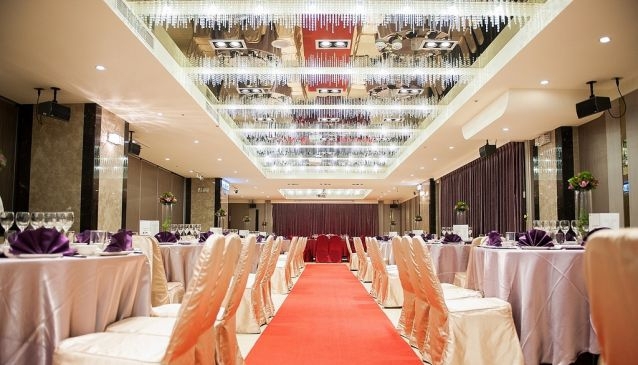 One of Taiwan's banquet venues, the restaurant has a fine dining formality to it that makes it a poplaur place for celebratory dinners. Opposite Chiang-Kai Shek Memorial Hall, Shanghai Kitchen is tucked away, on the basement level of the Y17 Youth Activity Center. As Y17 sees a lot of family foot-traffic, Shanghai Kitchen is well-equipped with family conveniences (high chairs, kid-friendly utensils and the like) and does well accommodating large groups. The cuisine here is a fair example of Shanghai cuisine, but might not be the best bet for a couple seeking an ambience conducive to whispering sweet nothings. Ask your server for best recommendations. Shanghai Kitchen is open everyday for lunch and dinner.